Sakai Community DocumentationSakai 12 Administrator Guide (English) Sitestats AdminHow do I view reports for a specific site? Zoom: Locate the site you want to view. Zoom: Click on the title of the site. 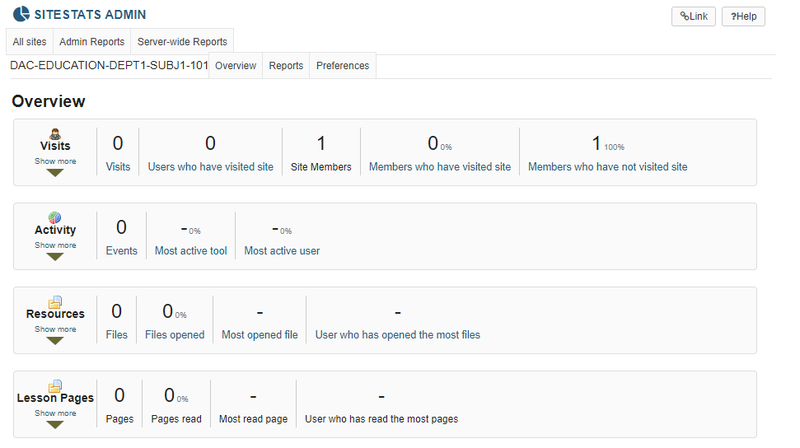 Zoom: The site's Statistics will display. Prev: What is Sitestats Admin? 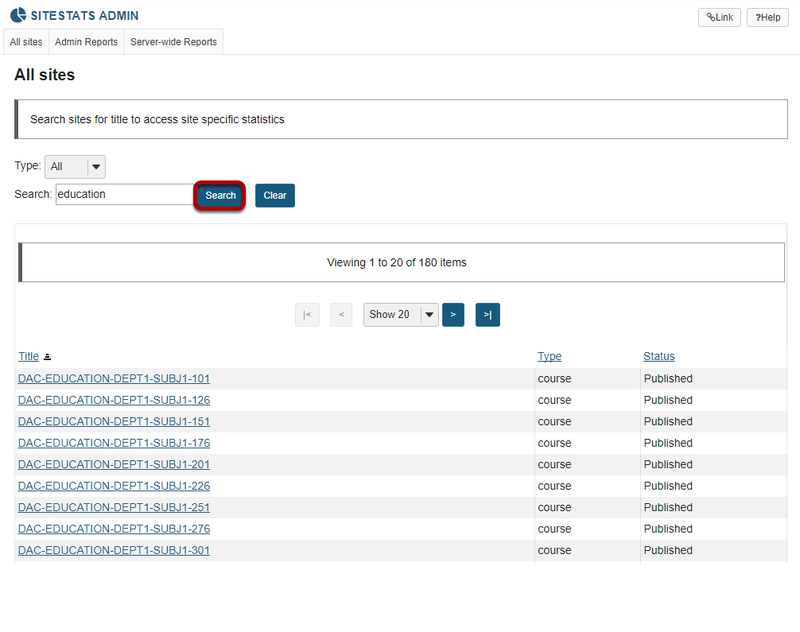 Next: How do I create predefined reports available throughout the system?